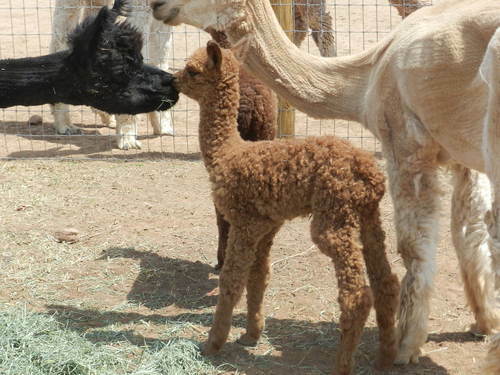 Pleasant Journey Alpacas: Blog: First year on the ranch! What a year! First year on the ranch! What a year! Ok, we are late at getting this blog put up as we have surpassed our 1 year anniversary on the ranch by a couple of months but it is the thought that counts! What a year it has been! Up and downs, tears and laughter but this is the place we are hanging our hats forever! We got through each season as it came. We moved into our house Sept 8, 2012 so we got to enjoy the beautiful colors of Colorado autumn. Then Old Man Winter decided to visit. Since we had been out of the "winter" for 18 years, getting through our first winter was interesting but we took it day by day. There were beautiful sights to behold with the snows on the LaPlata mountains before us. Yes, there were a few days when we wondered what the heck we had done by moving back to snow country. Shoveling snow, plowing snow, dealing with melting snow, frozen water pipes, etc but before we knew it, spring arrived and quickly turned into summer. They say that time goes faster when you get older and this is so very true. Time flies by on us and another month has passed before we know it. Summer brought the joy of cria season and what a season it was! 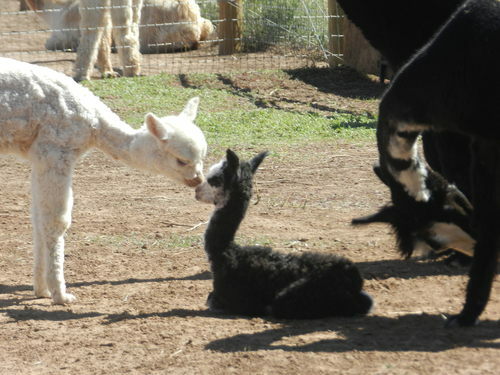 Thankfully we had a wonderful and "uneventful" cria season and were blessed with wonderful moms and beautiful crias. Eleven cria were born on our ranch this summer (9 of them ours and 2 are agisting alpacas). Along with the elven born here, were two more born on other ranches. So, our herd increased in size by quite a bit this summer. This new cria crop is amazing! 7 males and 4 females and all are already exhibiting wonderful fleece and conformation. Even though most people wish for females, we are actually very happy that a couple of the crias are males this year. Future herdsires in the making of colors we did not already have. All is good! We had a good year by selling a two of our females and three of our males. Of course, the head count did not reduce as we also added a few alpacas this summer. Oh well! 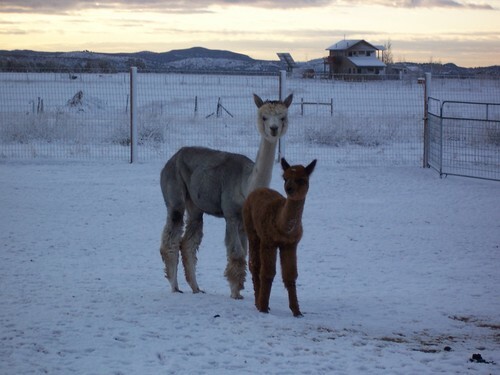 We welcomed to our ranch a new herdsire (co-owned with Navajo Lake Alpacas). Alpine's Volt is a wonderful silver grey Orlando Cloud grandson and will be a great addition to our herdsire line up. NeverSummer's Manchester (our dark brown Aussie .38 Special son) began his breeding career for us this summer and of course Adonnis' Altitude continues to shine for us on stud row. There is a secret we are keeping right now about an addition to our herd so keep in touch with us for "breaking news"! Our summer was also filled with ranch visits by locals and tourists to the Durango CO area. An ad placed in a high end tourist magazine and rack cards in the visitor center were just the ticket to have people learn about Pleasant Journey Alpacas and schedule visits. The first fiber class was held in August as well. 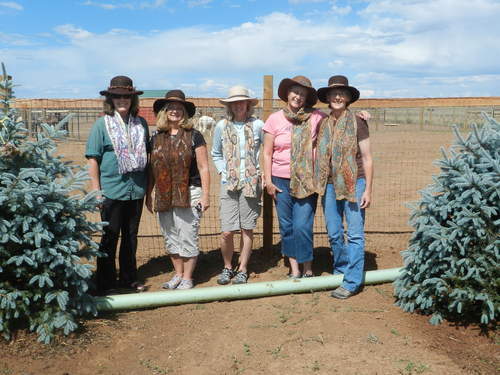 Wonderful friend and fiber artist Lois Burbach of Navajo Lake Alpacas gave a 2 day class to 5 "crazy ladies". We learned how to make felted hats and nuno felted scarves and had a wonderful and fun filled 2 days. Tons of laughter all weekend! 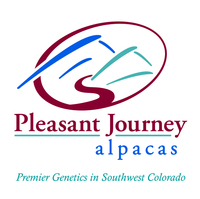 Pleasant Journey Alpacas held our first National Alpaca Farm Days in September. We were thrilled with the turn out of visitors. Fortunately two local Durango, CO newspapers were gracious to come and do articles on the ranch and printed the articles right before farm days. This was wonderful exposure for us and brought visitors to tour the ranch and shop our ranch store. People were so excited to meet alpacas, learn about alpacas and be offered a chance to come back to visit again. Now as winter is fast approaching and the holidays are upon us, we are holding our 1st Holiday Open House. November 30 and December 1 are the dates for the open house and again, ranch tours and store shopping are offered to all! Thank you to all who have followed our journey over the years and we hope you will continue to follow the path with us as life takes us down this wonderful road! Happy Holidays to all! God Bless! 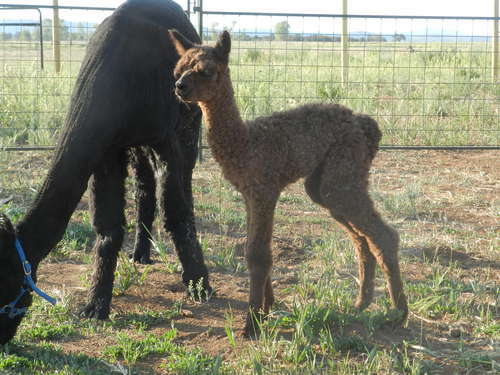 Antero- our first cria born on ranch! Freedom- cria # 2- AWESOME!